"I was looking at purchasing eudialyte but found that it may be radioactive. Is this true and if so what is the likelyhood that a small stone could cause exposure? In addition if I were to purchase one and did start to feel ill what would be the proper way to dispose of it?" Firstly, I know some of the wonderful properties of Eudialyte and my daughter uses Eudialyte herself. She wears earrings and a necklace, and she does so frequently. She has had no problem with the minimal amount of radiation that the crystal may have. After doing some research I have found that the amount of radiation you would get from holding it every day, all day for a year would be significantly less than that of medical personal who work in radiology. 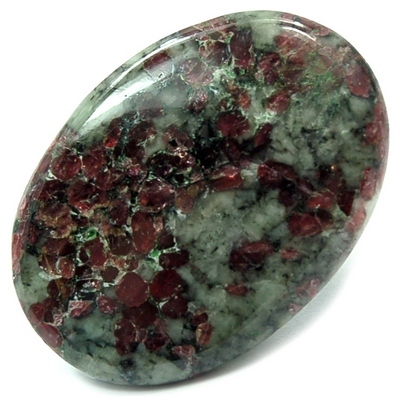 You should have no ill effects from using or wearing Eudialyte.